Our congregation was founded September 21, 1883 under the name LaCenter Norsk Evangelisk Luthersk Menighed by a group of Norwegian and German Lutheran immigrant families who desired Christian fellowship. Language barriers during those first years resulted in two different worship services. As English became the dominate language, the congregations united through a series of mergers. 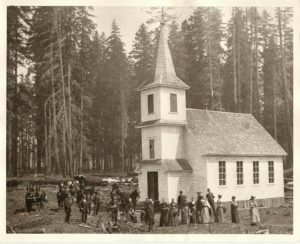 For many years the church was served by ministers as far away as Silverton, OR. Once a month they journeyed all day by riverboat and buggy to share the gospel. Little did the original congregation members realize that Highland would become one of the founding congregations in the Sate of Washington and that the original chapel would be one of the oldest church buildings west of the Mississippi River. 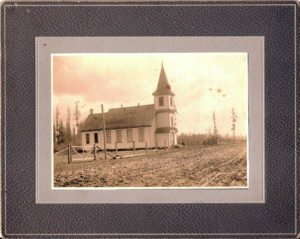 Now called the Centennial Church, chapel stands today much as it did in 1887, except for the kitchen add-on in 1900. Inside the Nave on the wall behind the alter, is a wonderful original mural of Christ. The mural was designed and painted by Mr Peter Moe, one of the congregations founders. A kindergarten was added to give our community another option for children’s early education. 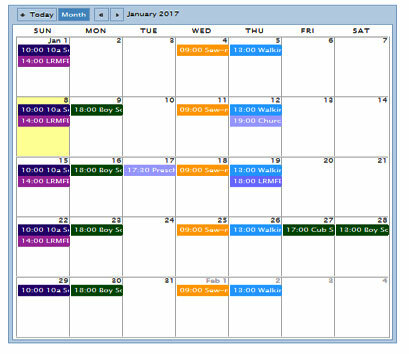 The school prides itself on teaching choices to aid children to find their way in life. January 7, 1887 the Anderson family of Portland, Oregon gave one acre of land to the congregation and the Centennial Church was built a short time later. 1889 The congregation purchased an acre for a cemetery. 1900 A kitchen was added. 1915 A parsonage was built. August 30, 1959 Dedication of new chapel and classrooms built on adjacent land due to increasing growth. 1957 The parsonage was replaced. 1979 A new fellowship hall and bathrooms were added.